UNILORIN Sandwich Admission Form 2019 is Out | Check Details Here. Check UNILORIN Academic Calendar 2018/2019 Online Here for Free. 4 Weeks of Marking & Computation of Results. UNILORIN Admission List 2018 is Out Online | Check Your Status Here. 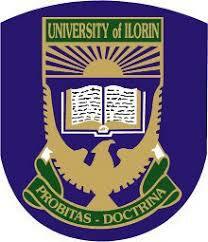 Go to UNILORIN admission portal at https://uilugportal.unilorin.edu.ng/putme_login.php. Scroll down then locate and click the “Check Admission Status” tab. Finally, click on “Check Admission Status” to access your UNILORIN admission status. MSF Team congratulates all the candidates that made it to UNILORIN admission list for the 2018/2019 academic session. University of Ilorin Job Vacancies 2018/2019 and How to Apply Online. Application Deadline: 10th October, 2018.